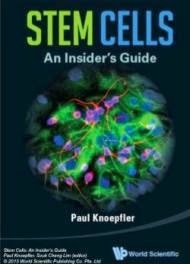 California Stem Cell (CSC) announced today it has submitted a Phase II protocol to the U.S. Food and Drug Administration (FDA) for a randomized, double-blind study to assess CSC’s patient-specific cancer immunotherapy in women with Stage III or IV ovarian, fallopian tube or primary peritoneal cancer. The control group will receive the “MC” treatment, which involves harvesting the patient’s blood (autologous peripheral blood mononuclear cells) and combining it with GM-CSF, granulocyte-macrophage colony-stimulating factor, a white blood cell growth factor. The trial design calls for both groups to receive subcutaneous injections of their respective treatment weekly for three consecutive weeks, then monthly for the following five months. The trial, will be conducted at Hoag Hospital Presbyterian in Newport Beach, CA and is expected to last approximately sixty months, including enrollment, treatment, and long-term patient follow-up. "We were pleased with the FDA’s positive response to our initial discussions regarding this study, which enabled CSC to proceed directly to a Phase II submission. This suggests that application of this platform technology to other cancer indications may similarly begin at the Phase II clinical trial stage." said Hans Keirstead, Ph.D., CEO of California Stem Cell.